Omega vs Rolex: Which Should You Buy? It’s the question that watch lovers have been asking themselves for a century. Which of the two horological giants – Omega or Rolex – has the edge? Omega and Rolex are the two most well-known Swiss watch brands in the world, both enjoying massive recognition, status, and respect. But what makes them different to each other, and what makes them stand out from the rest of the watchmaking world? The aim of this article isn’t to say that one brand is ‘better’ than the other. Each brand has its own distinctive qualities, specialisms, and identity. But by placing Omega and Rolex side by side and making some comparisons, this piece will help you to see the advantages of each brand, and the reasons why people come down on different sides of the debate. People are often surprised to learn that Omega has a much longer history than Rolex. The history of Omega dates back to the middle of the 19th century, with the founder, Louis Brandt, opening his first workshop in 1848. Originally known as Louis Brandt et fils, the name Omega was first heard in 1894, and was used as the name of a pioneering movement that the company developed. In 1903, Omega was adopted as the name of the company. It wasn’t until 1905 that Hans Wilsdorf founded Rolex in London. By this point, Omega had over 50 years under their belt – as well as their famous Omega movement – and they were gearing up for some major accomplishments. Nonetheless, it didn’t take long for Rolex to become a respected competitor. After a concerted focus on the accuracy of their movements, in 1910 a Rolex watch was the first wristwatch in the world to receive the Swiss Certificate of Chronometric Precision. Rolex also grew through their pioneering watch resistant technology. In 1927, Rolex’s watch-resistant qualities were put to the test – and proven – when Mercedes Gleitze wore a Rolex in her swim across the English Channel. The watch emerged from the 10-hour swim in perfect working order, confirming its reputation for superior water resistance. Meanwhile, Omega’s reputation continued to grow. Towards the end of the First World War, they became the supplier to both Britain’s Royal Flying Corps and the U.S. Army in 1917 and 1918 respectively. In 1932, Omega became the official timekeeper of the Olympic Games – an honour and an accolade that the brand has maintained to this day. Side-by-side, the stories of each company have continued to develop and grow richer every year, with both brands maintaining close ties with the world of sport. Rolex’s sporting connection is strongest in the fields of motorsport, mountaineering, yachting, and diving. From its earliest days, Rolex built close ties with motorsport. 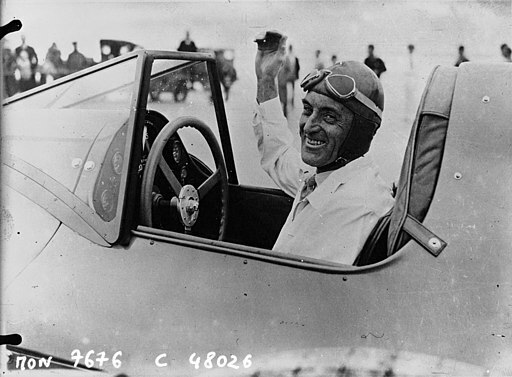 In 1935, a Rolex was worn by Sir Malcolm Campbell, as he set a land speed record of over 300 miles per hour in the famous Bluebird. Rolex’s connection with motoring is represented most of all by the famous Cosmograph Daytona. Named after the Florida racecourse – where Sir Malcolm set no less than five land speed records between 1904 and 1935 – the Rolex Daytona stands as one of Rolex’s most iconic watches. The brand’s connection with racing continues today, and since 2012, Rolex has been Global Partner and Official Timekeeper of Formula 1. Omega and Rolex have both developed strong nautical ties, regularly innovating to meet the demands of professionals out at sea. We’ll look into this in more detail below. 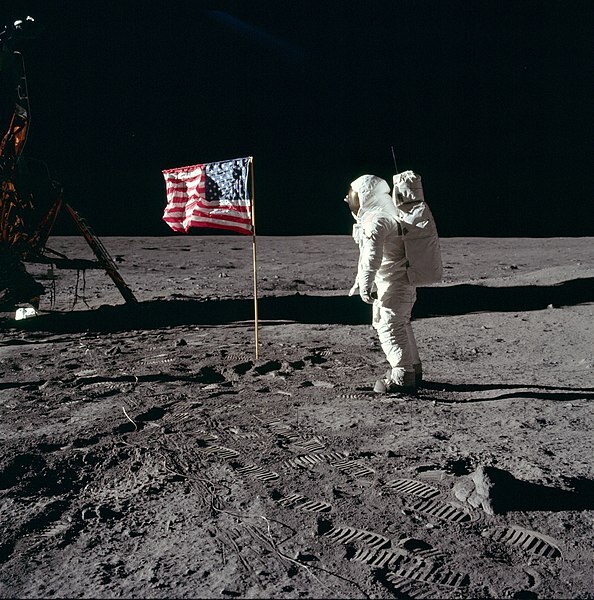 For all Rolex’s achievements in the twentieth century, Omega boast one accolade that Rolex may never rival – the first watch on the moon. Omega’s age, long-running connection with the Olympic Games, and unrivalled claim as the first watch on the moon furnish the brand’s heritage such that they can scarcely be rivalled. Yet despite being latecomers to the game when compared with Omega, Rolex built their story remarkably over the course of the 20th century, claiming a vital place in the world’s cultural imagination. Reputation, reputation, reputation. It meant everything in Shakespeare’s day, and the same is true today. It’s one area where Rolex has an edge over Omega, and that counts for a lot. Despite Omega’s illustrious history, when it comes to the strength of the brand, no luxury watchmaker comes close to Rolex. Rolex is not only the most well-known luxury watch brand, but one of the most reputable brands in any category. Indeed, the Reputation Institute ranked Rolex as the number one most reputable brand in the world in 2019. It’s easy to see why. Rolex have achieved a delicate equilibrium, balancing conflicting brand attributes to powerful effect. Part of the strength of Rolex is that they have created a brand which is both notoriously exclusive and ubiquitously recognised. What’s impressive is that despite the vast scale on which their watches are desired, acquired, and regularly forged across the globe, Rolex’s reputation as a producer of high-end, high-quality luxury items has never been called into question. It’s true that some haute horologie aficionados may not see Rolex in the same light as the likes of Patek Philippe, Audemars Piguet, or Vacheron Constantin. Amongst that small minority of watch lovers, Rolex may be regarded as showy, ostentatious, and not quite as elegant as some luxury watch brands. You can’t please everyone. But Rolex has managed to please the vast majority. And as we shall see, their success in this regard is to do with more than just branding. Undoubtedly, Rolex’s reputation has benefitted from association with a seemingly exclusive collection of celebrity wearers. The motoring connection, first championed by Sir Malcolm Campbell, was powerfully developed by Paul Newman and his relationship with the brand. As a Hollywood icon with a passion for racing cars, Paul Newman was the perfect man to develop this aspect of Rolex’s story. An avid wearer of the Cosmograph Daytona, Rolex went on to produce Daytona models bearing the star’s name. It is instructive that Newman’s personal Rolex Daytona – which he wore every day for 15 years – stands as comfortably the most expensive watch ever sold. In 2017, the famous watch was bought by an anonymous bidder for the sum of $17.8m. With other Rolex wearers including the likes of Steve McQueen, Warren Buffett, and Dr Martin Luther King, you can see how widespread the appeal is. All this makes it rather interesting, in the Omega vs Rolex head-to-head, that Omega has become the watch of choice for James Bond. After three decades of loyalty to Rolex – and the Rolex Submariner in particular – in the 1995 GoldenEye, Agent 007 was seen wearing an Omega Seamaster. 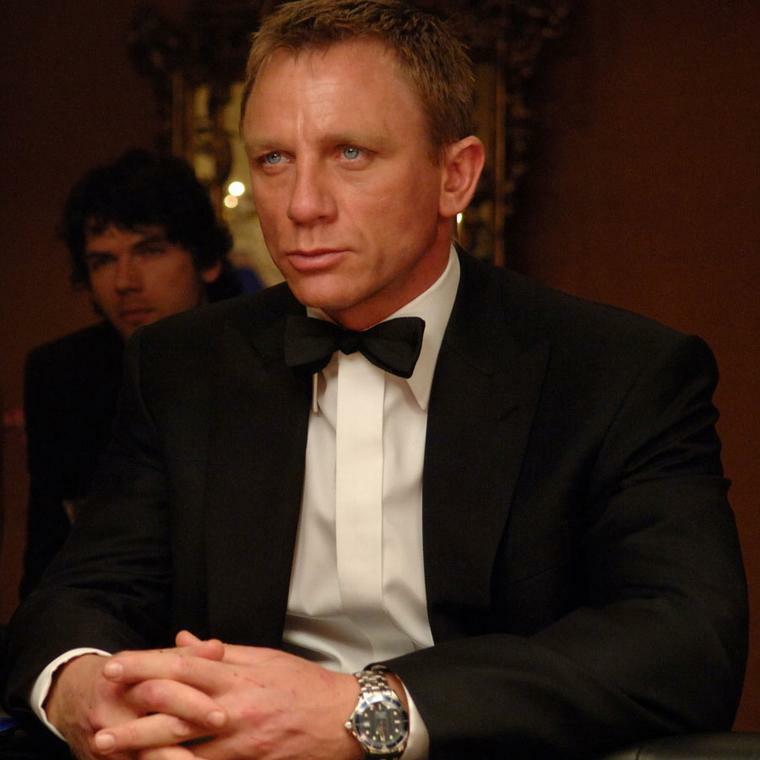 In all the James Bond films since, whether played by Pierce Brosnan or Daniel Craig, Bond has worn an Omega Seamaster. Naturally, the brand of watch that James Bond wears should not be understated. As a world-renowned cultural icon, Omega’s ownership here is important. Paired with Omega’s rich heritage and continuing legacy as Official Timekeeper at the Olympic Games, it’s clear that Omega presents an extremely strong proposition in terms of their reputation. Yet for despite all this, Omega continue to play second fiddle when it comes to reputation – at least for now. Innovation is an arena in which Omega and Rolex are well-matched rivals. With both brands boasting a long history of developments and ‘firsts’, each has made important contributions to the art of horology. At the same time as innovating and developing their technology, both brands have attempted to maintain consistency – sometimes successfully, and other times less so. Neither brand was served well by the Quartz crisis, with Omega coming off the worst. While Rolex merely dabbled with Quartz watches, Omega embraced Quartz fully. Releasing a wide array of models, many watch buyers found their unrestrained approach confusing. Some would say that the era devalued the brand for years to come. The same would not be said of Rolex, whose conservative approach to change continues to pay off. Slowly unveiling minor tweaks to hungry watch lovers, Rolex’s studied approach has helped to ensure it retains its admirers’ curiosity and respect. Rolex have always been careful to slowly introduce incremental technological advancements over many years, never compromising the integrity of their product range. In recent decades, however, it’s clear that Omega’s ability to balance innovation and heritage has come a long way. Omega’s most important innovation is, without a doubt, the Co-Axial movement. The ground-breaking escapement in the Co-Axial movement is regarded by many as one of the only improvements to have been made to mechanical watches in the last century. 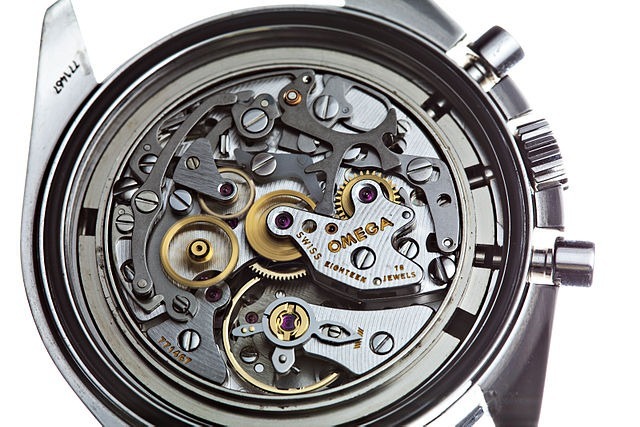 First released in 1999, almost all Omega watches produced today now feature the ingenious Co-Axial escapement. The technical improvements offered by the Co-Axial escapement are not easily understood (read about it in CEO Stephen Urquhart’s own words and you’ll see). But the resulting benefits are plain. Omega Co-Axial movements include a four-year warranty, have longer service intervals, and offer outstanding chronometric performance which is maintained over a longer period of time. The innovation itself was the brainchild of British master craftsman George Daniels. Nicholas G. Hayek, the founder of the Swatch Group acquired the design which was eventually industrialised by Omega. Omega’s calibre 8500 has also attracted praise in recent years. Regarded as one of the most high-tech calibres on the market, it incorporates the Co-Axial escapement, boasts a 60-hour power reserve, and offers magnetic resistance to over 15,000 gauss. Rolex also lay claim to several significant innovations. In the earlier part of the 20th century, it was Rolex who developed the screw-down crown in 1926, revolutionising water-resistance technology. In 1931 Rolex released their first automatic winding mechanism, the famous Oyster Perpetual. Rolex also broke new ground with the Milgauss in 1956, which offered magnetic resistance to well over 1,000 gauss. Never falling behind in their conquest of the Ocean, Rolex has continued to develop their professional divers’ watches. Drawing on research with the U.S Navy, the Rolex Sea-Dweller Deepsea offers water-resistance to a mind-boggling 3,900 metres. In recent years, however, Rolex has attracted most praise for the development of its materials. This has not gone unnoticed by consumers, who have continuously marvelled at the radiant appearance of these watches. The first of these material innovations is Rolex’s patented Oystersteel alloy. Forged in Rolex’s in-house foundry, their 904L steel alloy offers superior resistance to corrosion and a stunning finish for the case and bracelet of any Rolex. In 2005 Rolex also patented their own ceramic material, Cerachrom. Used for the bezel on watches like the Submariner and Daytona, the material is an exceptionally hard ceramic that resists scratches, resists fading from ultra-violet light, and offers a beautiful lustre. When everything else has been considered, we arrive at the bottom line. How do Omega and Rolex watches provide value for money? When comparing Omega and Rolex, the value for money question is an interesting one. To begin with the obvious, it’s true that Rolex watches are on average more expensive than Omegas. You might be able to pick up a pre-owned Oyster Date or Air-King for within the region of £2,000. If, for some reason, you want to buy new, a Submariner will set you back around £6,000, and you’ll have to wait for it. If you take the smart option and buy pre-owned from a boutique like Blowers, you’ll pay about the same for a Submariner (or more for desirable models) – but you’ll enjoy extensive choice and the ability to take your watch home that day. Turning to Omega, you can pick up a pre-owned vintage model for less than £1,000. You may find certain less-desirable pre-owned Seamasters and Speedmasters in the region of £1,500. For a new Omega Speedmaster Professional Moonwatch, you’ll be looking at at least £3,500. The natural question to ask is whether Rolex and Omega watches are worth the money. The answer depends on the person, but it’s also sort of self-evident. The market value is determined by people like you, who want to buy watches. People like you will pay these sums, so the proof is in the pudding – if people pay it, then economically speaking, the price is clearly right. If you have any doubt about the price of a particular watch, then speak to a respected dealer who knows what they’re doing. You’ll benefit from their expertise in this complex market. For some people, resell value is an important factor in the decision to buy a watch. So if we’re talking strictly finance, is a Rolex or an Omega a better investment? It’s hard to predict the future of markets, and the luxury watch market is no different. There’s no guarantee that you will luck-out and pick up a model that grows in value over the next decade. However, it can be said that Rolex models are known for retaining their value in comparison with other brands – especially steel sports watches like the Submariner. The chances of your Omega retaining its value are a little less certain. There is a chance that your particular model will be especially desirable in the years to come, increasing its market value. But it takes a careful and extremely well-informed purchaser to pull off a Omega investment like this. For real watch lovers, however, this doesn’t really matter. Most people – even highly knowledgeable watch collectors – buy watches so they can enjoy wearing them. Isn’t that kind of the point? Should you buy Omega or Rolex? Hopefully this article has given you some food for thought in your decision about which brand you want to buy. The Omega vs Rolex debate is a big one that’s gone on for years, and there is no right or wrong answer. There are many factors to consider, and for most people, the decision ultimately comes down to personal taste. You could spend all day weighing up the pros and cons of Omega and Rolex, but when all is said and done, these are watches that need to be experienced in the flesh. There’s simply no substitute for trying these on your wrist and seeing how you feel. So why not take a look at some of the fantastic Omega and Rolex watches that Blowers have on offer. Get in touch, and we’ll be pleased to show you any watch listed on our website in the comfort of our Kingston upon Hull boutique or London Mayfair office. Blowers Jewellers March 19th, 2019 March 19th, 2019 Omega vs Rolex: Which Should You Buy?